Automation Manager opens in a separate window from MSP N-central and provides a quick and easy drag-and-drop interface for working with Automation Policies. The following instructions include examples provided to the right of each step to demonstrate how Automation Manager is used. Sign in to MSP N-central. In the navigation pane, click Actions > Start Automation Manager. In the Automation Manager interface, click File > New. You can also click New Policy... in the main content pane or the icon in the toolbar. In the New Policy window, type a Name to be used to identify the new Policy. Type a Description to provide more information about the Policy. This policy checks for a specific folder with the name provided by user input. 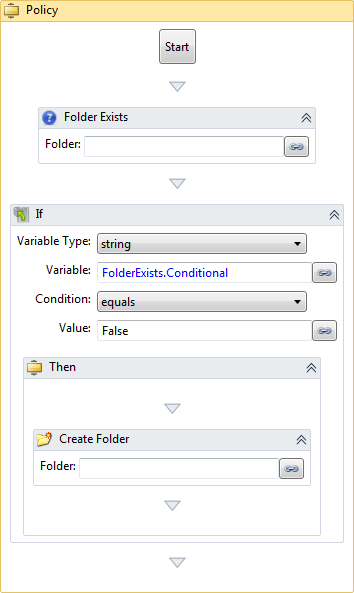 If the folder does not exist, the policy will create the user-specified folder. From the object list pane on the right side of the Automation Manager UI, click the name of an Automation Object that you want to insert into the new Policy. You can also use the Search text field at the top of the navigation pane to quickly locate a specific Automation Object. Currently, the Search function only supports searching for objects based on the first letter in the object name. Drag the Automation Object icon to the Policy frame. If you no longer want an Automation Object to be included in your policy or if you have added one by mistake, you can remove it by right-clicking on the object and then selecting Delete. Configure any required properties of the Automation Object. Automation Object properties can use Input Parameters (defined within MSP N-central by the user when the Automation Policy is run) or they can use static parameters (defined within the Automation Object properties fields). Leave the Folder field blank so that the value can be provided by user input. If the property value is static, you can type the value (for example, C:\N-able). Repeat step 7 to step 9 for each Automation Object to be added to the Policy. 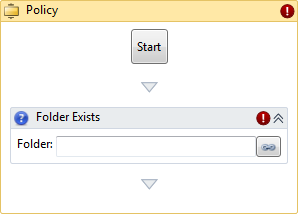 In the Policy frame that is displayed in the main content pane, click Start to create policy input parameters. In the Input Parameters window, click Add. 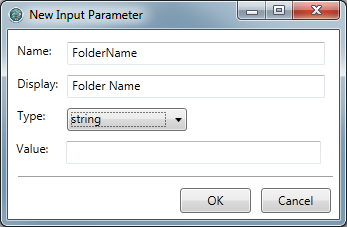 In the New Input Parameter window, type a Name to be used to identify the new parameter. As this is a variable name, there can be no spaces. Type the Display information that will be displayed in the MSP N-central UI. date - a numeric value indicating a calendar date. number - a numeric value. password - a security password. string - an alphanumeric character string. Type a Value to be assigned to the parameter. Leave blank unless you want to configure a default value or if you want to provide an example of the input parameter. Repeat step 9 to step 13 for each new input parameter. 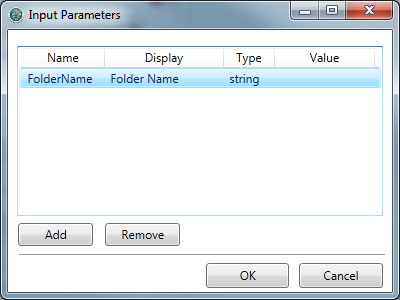 Click beside the first Automation Object to which you want an input parameter linked. Click the icon beside the Folder Exists object. In the Object Link dialog box, click the object to be linked. Click the Values to be linked. Repeat step 20 to step 23 for each new link. 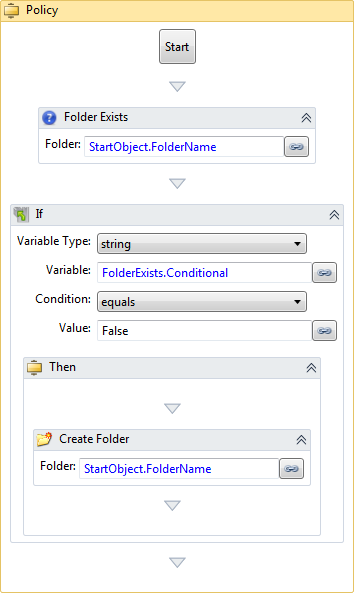 Click the icon beside the Create Folder object. You can also click the icon in the toolbar. If any input parameters have been configured for the Policy, they will need to be configured when it runs. Type C:\N-able for the Folder Name parameter. 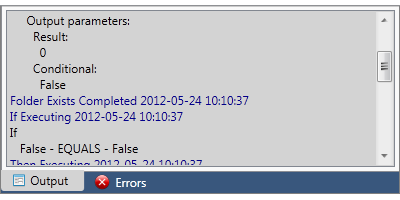 Review the contents of the message pane for any errors. Running the policy before uploading or saving allows you to troubleshoot any potential problems. When you are satisfied with the Automation Policy, click File > Upload. A notification will be displayed once the Automation Policy has been successfully uploaded to the MSP N-central Script/Software Repository. You can also save the Automation Policy to your local computer or a network share by clicking File > Save or the icon in the toolbar. Automation Policies can only be run after they have been uploaded to the MSP N-central Script/Software Repository. You can not run an Automation Policy from a saved file.